In March 2008, Dean Capital Management (DCM) was formally created as the investment management affiliate of C.H. Dean. DCM’s experienced team was lifted-out of a large mutual fund firm in Kansas City. 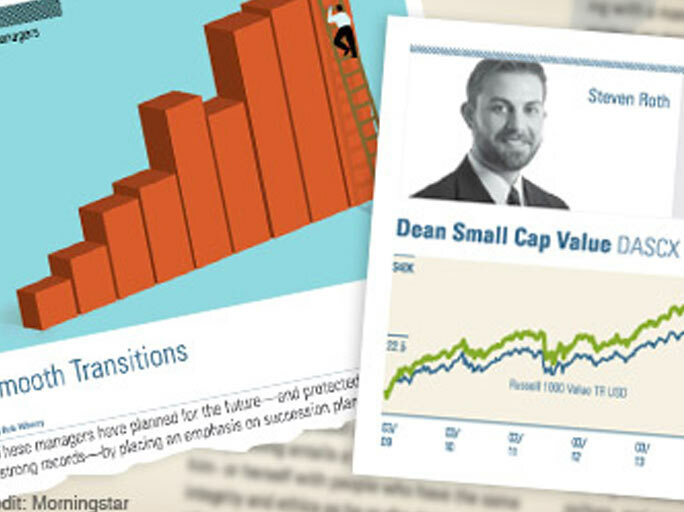 DCM provides investment management services for Dean’s mutual fund shareholders as well as their SMA clients. At C.H. Dean we have been quite satisfied with the high-caliber investment results generated by DCM over the past few years. It is truly gratifying to have our turn-around story recognized by Morningstar, the leading provider of independent mutual fund analysis and research. You should carefully consider the investment objectives, potential risks, management fees, and charges and expenses of the Fund before investing. The Fund’s prospectus contains this and other information about the Fund, and should be read carefully before investing. You may obtain a current copy of the Fund’s prospectus by calling 1-888-899-8343. Past performance is no guarantee of future results. The investment return and principal value of an investment in the Fund will fluctuate so that an investor’s shares, when redeemed, may be worth more or less than their original cost.